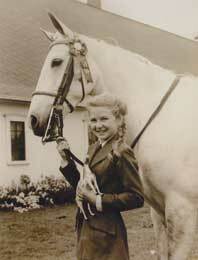 The daughter of a prominent trainer, Gwen became an accomplished equestrienne at an early age. 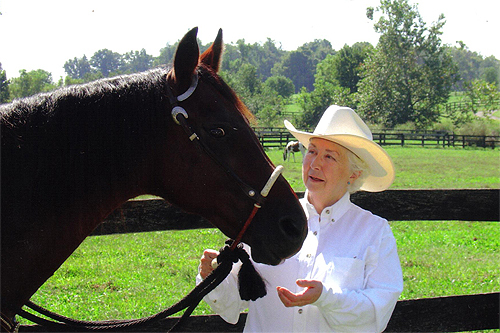 As a horse farm manager and a professional trainer of some forty years, she has worked with many breeds; Arabians, Saddlebreds, Morgans, Quarter Horses and Thoroughbreds. 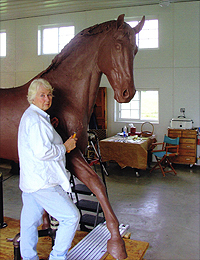 Gwen Reardon’s skillful interpretation of the individual spirit and personality of each horse that becomes the subject of her work is indeed the product of a lifetime of personal involvement. The Studio of Gwen is conveniently located within minutes of the Kentucky Horse Park, Bluegrass Field, Keeneland and Fasig-Tipton and surrounded by many of the most prominent horse farms in the Bluegrass. The studio welcomes visitors by appointment or through Unbridled Horse Tours. Offering a unique opportunity for the public to observe the artist at work the studio will also offer private instruction as well as a gallery of sculpture, paintings, prints and posters. Individuals and groups are welcome to contact Gwen Reardon for appointments to tour the studio or information on instruction opportunities.